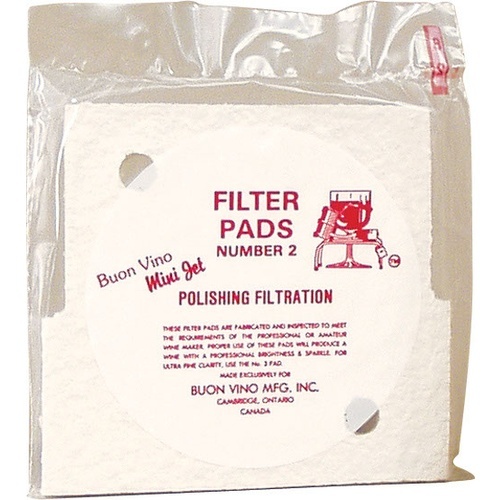 Filter pad number 2 from Buon Vino for Polish Filtration. Fits the Buon Vino Mini Jet (FIL20). Requires one 3 pack to run the filter. Fine are approximately 2 microns.